A pre-race sample was taken from Montana Fernando. Disco Lemonade and Hollywood Pearl were quick to begin. Zipping Spud and Disco Lemonade collided on the first turn checking Disco Lemonade. Disco Lemonade and Gunmetal Liam collided approaching the home turn. Johnny Utah and Dyna Jenaya raced wide on the home turn and in the home straight. A pre-race sample was taken from Dyna Gabba. Seeking Stars and Fairly Legal collided approaching the first turn checking Fairly Legal. Ben Roman and Mimstar collided on the first turn. Ben Roman and Mia Shan collided on the first turn checking Ben Roman, Mia Shan and Mimstar. Seeking Stars checked off Mia Shan on the first turn checking Seeking Stars. Paid Too Much and Miss Terindah were quick to begin. Me Bros Bad was slow to begin. Emgee Sprinter and No More Sisco raced wide on the first turn. Me Bros Bad and No More Sisco collided on the second turn checking both greyhounds. Me Bros Bad and No More Sisco collided on the home turn. Dee Final Siren was vetted following the event. It was reported that the greyhound sustained a left wrist sprain injury, a 7 day stand down period was imposed. A pre-race sample was taken from Merry Magic. Trium and Merry Magic collided soon after the start checking Trium, Merry Magic and Joycee Rae. Pattaya Paul and Xera Bale collided in the front straight checking Xera Bale. Xera Bale and Merry Magic raced wide on the first turn. Cosmic Kilby was slow to begin. Patchie Thief, Distributor, Why Not Maxine and Anustar collided soon after the start checking Distributor. Cosmic Kilby, Distributor, Anustar and Why Not Maxine collided approaching the first turn checking Anustar, Why Not Maxine and Distributor. Anustar and Why Not Maxine collided on the first turn checking both greyhounds. Ima Rebel galloped on Skyes Apprentice on the first turn checking Skyes Apprentice. Kowari and Ima Rebel collided approaching the winning post. A pre-race sample was taken from Ace Gone Wild. Olfina Allen was slow to begin. Kiss Me Razley and Bolt Power collided soon after the start checking Bolt Power. Loroupe, Ace Gone Wild, Dynastic Ruler, Kiss Me Razley and Bolt Power collided soon after the start checking Dynastic Ruler and Kiss Me Razley. Isen Allen, Loroupe, Ace Gone Wild and Bolt Power collided on the first turn checking Isen Allen, Loroupe, Ace Gone Wild, Bolt Power, Just Like Didda and Olfina Allen. Just Like Didda and Loroupe collided approaching the winning post. A pre-race sample was taken from Zefron. Dyna Diedre was a late scratching at 5.28pm on the advice of the Club’s Veterinary Surgeon due to a left wrist sprain. A 14 day stand down period was imposed. Nicky Jo was slow to begin. Zefron and Nicky Jo collided approaching the first turn. High Water and Dyna Penny collided on the first turn checking Dyna Penny. High Water and Hey Duggee collided on the first turn checking Hey Duggee. High Water tired in the home straight. High Water was vetted following the event. It was reported that there was no apparent injury found. A pre-race sample was taken from Massive Attack. Spring Kitty was quick to begin. Eranna Bale, Massive Attack and Uni Allen collided soon after the start checking Eranna Bale, Puffin' Stuff and Uni Allen. Eranna Bale and Inga Ted collided approaching the first turn. Inga Ted, Eranna Bale and Puffin' Stuff collided on the first turn checking Inga Ted and Eranna Bale. Spring Kitty and Massive Attack collided on the first turn checking both greyhounds. Puffin' Stuff and Inga Ted collided approaching the home turn checking Inga Ted. Puffin' Stuff and Massive Attack collided approaching the home turn checking Massive Attack. Dynamite Danger turned its head outwards and eased approaching the winning post. Stewards spoke to Mr P. Thomson, the trainer of the greyhound Dynamite Danger regarding the greyhounds racing manners approaching the winning post. Dynamite Danger was vetted following the event. It was reported that the greyhound sustained abrasions to the left calf and right hock, no stand down period was imposed. Acting under GAR 69(B)(1), the stewards charged Dynamite Danger with failing to pursue the lure with due commitment (by reason of injury). Mr Thomson pleaded guilty to the charge, Dynamite Danger was found guilty and stewards directed that the greyhound perform a Satisfactory Trial (all tracks) pursuant to GAR 69(B)(1)(a), before any future nomination will be accepted. A pre-race sample was taken from Aeroplane Hank. Fear Fire and Jackson's Girl were quick to begin. Swell It Is and Flying Sam were slow to begin. Murrabit Betty and Aeroplane Hank collided approaching the first turn. 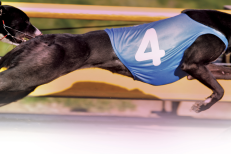 Satisfactory Trial Results (Cramp) - Natural Rhythm trialled over the 400mtrs from box 1, weight 26.8kgs, the greyhound was placed 3rd in a field of 4. 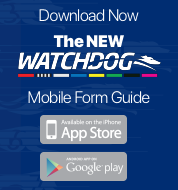 The time of the trial was 23.15, the greyhound was beaten by a margin of 1 1/4 lengths. Natural Rhythm was Cleared.